Don Smith (California, United States) on 4 March 2019 in Landscape & Rural. 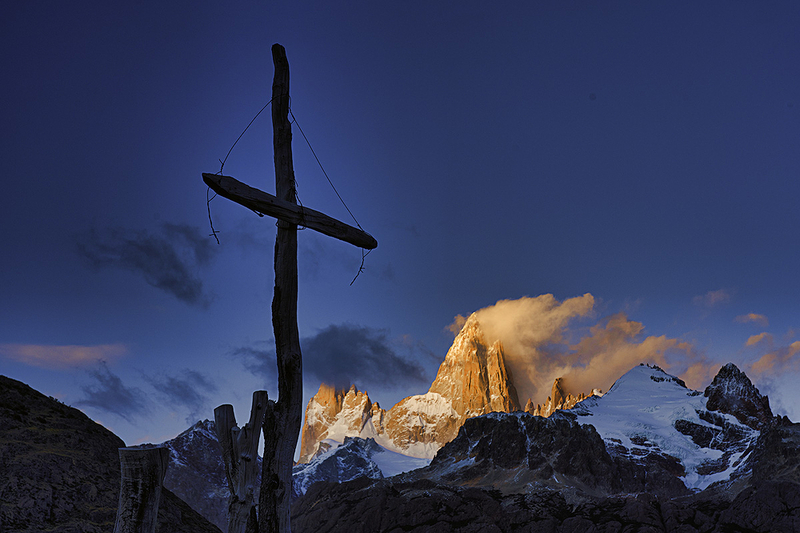 Crucifix and Mt. Fitzroy, Argentina Patagonia, South America. Beautiful landscape...Great compo ! Love the result ! Well done ! Looks like Fizreoy is on fire. Wonderful composition and light !